Living in Orlando comes with its highs and lows. It is The Theme Park Capital of the World, hosting Walt Disney World Resort, Universal Orlando Resort, SeaWorld, and Gatorland. There is also plenty of golf, shopping, and theater. The tropical climate is tranquil and comfortable, with the exception of hurricane season. Hurricanes can blow in and destroy all you’ve worked for in a matter of minutes. Why not make hurricane preparations to your roof before the storm can blow it all away? First, start every year with an inspection of your roof. 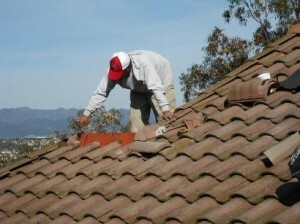 This can be done by yourself or a profession roof inspector. Take note of curled, loose, or missing shingles, as these areas will be the first to go when the wind picks up and it will leave gaps for wind and water to enter your home. Check the nails that keep your shingles down. They should be 4 inches apart along the edges. Make sure you inspect your roof from the attic as well. From inside, you can see where light may be coming in, or nail tips that pierce the plywood roof deck. These are a quick way for damage to escalate without persistent assessments. Taking the first step and getting your roof inspected can give you peace of mind and more money in your pocket. Premier Roofing Inc. is the leading roofing company that should be your first call for hurricane preparation. From high-end residential roofing to large commercial projects, Premier Roofing Inc. wants to cover what you love. NextCONSIDERING A CLAY TILE ROOF FOR YOUR HOME? LOOK NO FURTHER THAN PREMIER ROOFING, INC. THE BEST TILE ROOFING COMPANY IN ORLANDO!